Smart WFM is a digital advisory and delivery consultancy providing people related business improvement through a client lens. We use our methodology developed by Smart WFM founder, Jarrod McGrath to deliver outcomes in 5 steps. We have a need to grow and are looking for Advisory and Implementation consultants to join our team. We require forward thinking digital advocates who are committed to delivering client outcomes and advancing their career in the people space. Candidates with experience in human capital (WFM/operations, HR, payroll, finance, IT) and the inter relationships across these business areas within industries will be highly regarded. Advisory consultants will assist our clients with strategy and alignment of their business outcomes to people activities using the Smart WFM Methodology. A one page cover letter indicating why you want to work for Smart WFM and what value you can add back to clients from an advisory and/or delivery perspective. A one page resume summarising the people related achievements from your career. Timeline: Ready for immediate start. 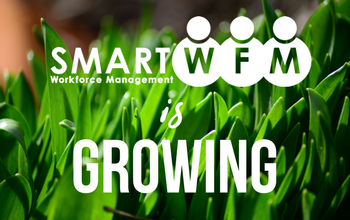 Smart WFM provides a global, progressive, digital working environment. We place emphasis on networking, collaboration, learning and mentorship. Smart WFM is committed to providing a positive social contribution and follow the principles of Pledge 1%. We dedicate 1% of time, profit and equity enabling you to achieve a greater sense of purpose in your work life. We are looking for Australian based candidates in major cities. No employment agencies. No international relocation. Police, Work and Education history checks are required.